A Fresh female corp member of 2018 batch C stream 1 by name ACES with state code number withheld, opened up to confess how she has been involved in several killings in the camp, especially in her hostel. She confessed that she was involved in this act since her First week, and has actually lost counts of how many people's blood she has in her hands. Though the nysc top officials who are aware of this evil act hid this information from other camp officials and corp members at large in other not to bring distraction to the nysc orientation programme but had been working tirelessly to unmask the face behind this. According to her, she was initiated into this act when she packed into the Female Hostel, where she spent her 3 weeks orientation programme. 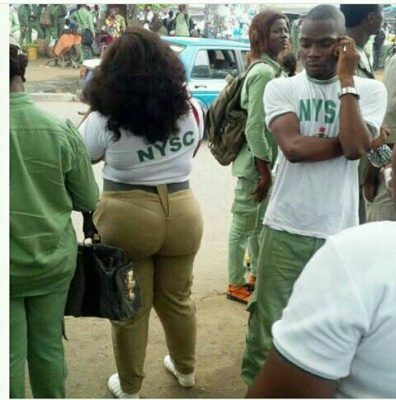 In her confessions, she refused to mention names but said that even the blood of the one of the nysc official is on her hands. She said, "Why would I not have the blood of people on my hands when I don't have insecticide-treated net or money to buy expensive insecticides? "Every night, some mosquitoes after sucking the blood of other corp members will fly to my bunk and in my usual act of reading at night, I used to be awake. I will see them, trace them and use my two hands to jam them into my palms and then my hands will be soiled with the blood of my fellow corp members and camp officials that they have already sucked."